The KNOX is the first convertible car seat from UPPAbaby (for US and Canada). A natural extension in the category after the success of the MESA infant car seat, the KNOX provides a rear and forward-facing solution for parents as their baby outgrows the infant car seat. 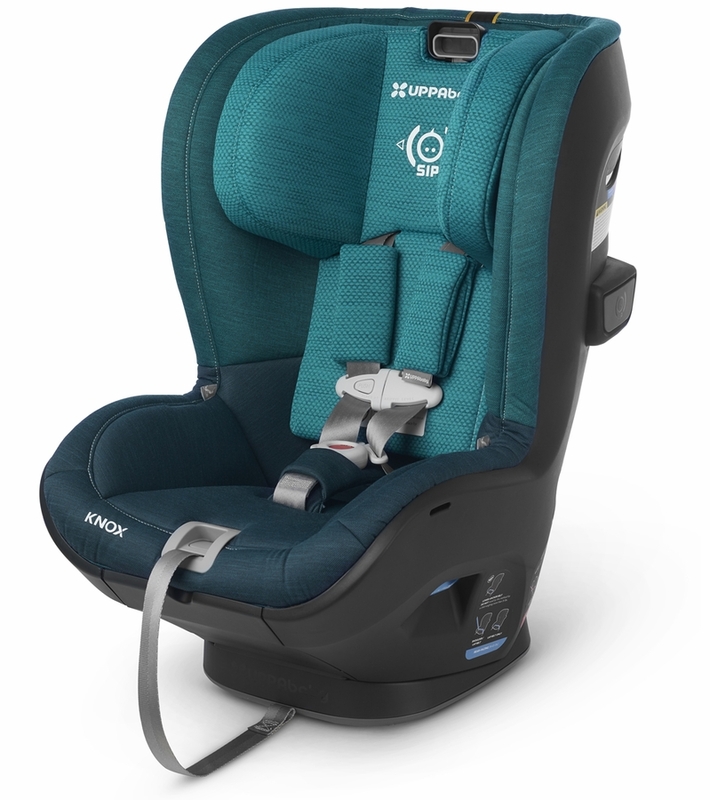 The KNOX’s SMARTSecure System™, similar to the MESA, provides visual indication that turns from red to green, telling parents and caregivers when the car seat is correctly installed, while the Universal Tether used in rear-facing mode reduces rotation of the seat and stress on the child’s head and neck in both frontal and rear impacts. Universal Tether in rear-facing mode significantly reduces seat rotation and stress on the child’s head and neck in front and rear impact. In forward-facing mode, the Universal Tether can keep the top of the seat back an additional four to six inches during a crash preventing harmful secondary impacts while significantly reducing injury. EPP Foam used throughout the seat as well as strategic placement between the inner and outer shell create an effective crash mitigation zone delivering advanced protection. Crash forces are absorbed into the seat rather than the child.